Step1. 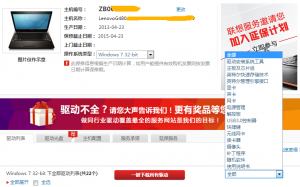 Degrade your Windows 8 system to Windows 7 system. Step2. Update your BIOS from the current version to Version 62cn40ww. Step3. 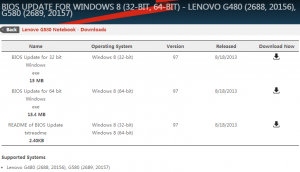 Upgrade your Windows 7 system to Windows 8 system. Step4. 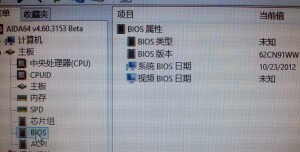 Update your BIOS from Version 62cn40ww to Version 62cn97ww.